Crowdfunding has been proven a reliable method of encouraging the arts and funding creative endeavors. 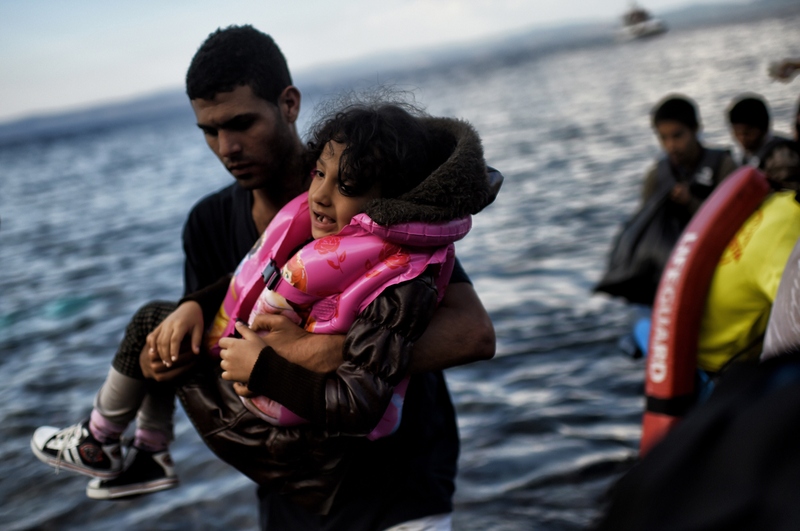 But could a Kickstarter help the Syrian refugee crisis? The answer is yes. This week, the crowdfunding company launched a one-week campaign with the goal of raising funds for displaced Syrian refugees, with the intent of donating all funds to the United Nations Refugee Agency. The #AidRefugees campaign, which launched Tuesday, has already raised more than $1 million with help from almost 17,000 backers. Unlike a typical Kickstarter campaign, all of the funds will be given directly to the UNRA, including the five percent fee that Kickstarter typically takes out of donations. And supporters don't need to have a Kickstarter account to donate, either. The specially-created campaign page seeks to highlight how donations will affect individual refugees. Since the start of the Syrian crisis, 11.6 million have been displaced from homes, while four million have left the country to seek refuge in other nations. According to The Guardian, over 50 percent of these refugees are women and children. Those interested in donating can pledge as much as they want, but according to the campaign, a donation of just $15 can provide a sleeping mat and sleeping bag. Donations as high as $60 can fund an entire year of education for a child. The money will go toward providing other resources as well, such as food, water, clothes, and even foster care and counseling. Although the campaign will close at the end of the week, the need to help won't end. The United States is currently preparing to take on as many as 10,000 refugees this year, while thousands others remain in refugee camps around Europe. The crisis has stretched across four years — and isn't likely to end anytime soon. Even as successful as the Kickstarter has already been, it will still be but a small dent in the overwhelming amount of aid still needed. But it's a reminder that individuals should help — and can make more of an impact than they realize. If you're interested in donating to the Kickstarter or learning more about the refugee crisis, you can check out the #AidRefugees campaign here.